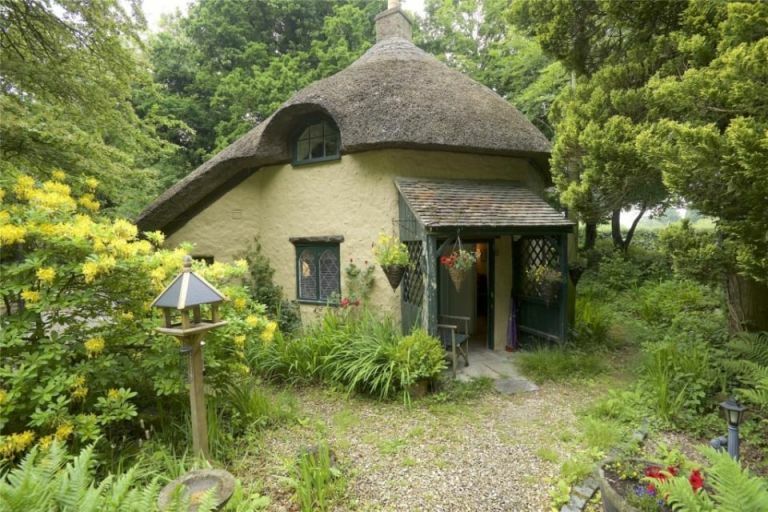 Follow the breadcrumbs to this insanely charming cottage in Wareham, Dorset. It sits within two acres of woodland and it basically does look like something straight from a fairytale. Its gothic details, flagstone floors and exposed beams are all in beautiful condition and this mini house has another even more mini house in its garden, which has electricity and water. Sat on top of a handsome property in Stoke Newington, north London, this flat is like a refuge from the bustling high street it's situated on. Squeezed into the eaves, the space is dictated by the contours of the roofline. Sounds like a faff? Far from. The exposed wooden beams and trusses and the shapes and spaces they create, give this home a character all of its own. Originally serving as the local butcher’s for the village of Selborne, this small property has since been restored into a lovely space. The property boasts limestone flooring, exposed wooden beams, a mezzanine bedroom, log burning stove, and a spiral staircase. We have a vision here, people, this property could be totally gorgeous. This diddy little toll house has recently been sympathetically renovated into a one bedroom home. It may only be four rooms, but we reckon considering the location and the history of the building, this property is a bit of a steal. It's situated on the edge of an Area of Outstanding Natural Beauty with amazing views of the surrounding countryside. Holiday home potential right there. Fancy building your very own tiny house, either in your back garden or on a plot of land? The people at Tiny House UK can help you out. They can send you a Tiny House Kit (yes, that's a thing) with everything you need to build your own space and will take only two days to assemble! You can get static or mobile version if you are feeling that nomad lifestyle. Of and if a self-build all sounds like a bit much, they have ready-to-go structures, too (you just design the interiors).